There are two types of people in this world: Those that eat breakfast, and those who don’t. In the latter category, there might be a few different forces at work. Some may not like breakfast, some may be in too much of a rush, and some — if you’re like me — might just enjoy spending their few extra morning minutes in slumber rather than slaving over a hot stove making eggs or whipping up the perfect parfait. But we breakfast-skippers might want to rethink our morning management. That’s because a new study, published in the Journal of the American College of Cardiology, suggests that breakfast might actually be the most important meal of the day, at least for your heart. 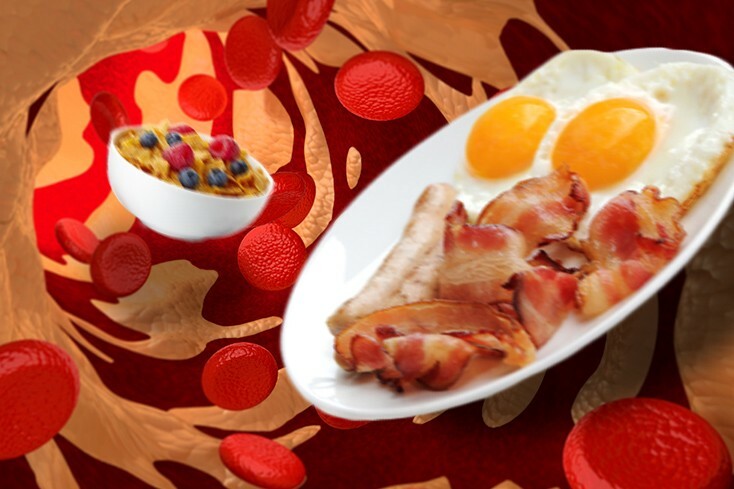 Researchers took a look at 4,052 men and women and found that as much as 75 percent of those who didn’t eat breakfast were at a higher risk for atherosclerosis, a fancy doctor word for plaque-hardened arteries. This may not make a whole lot of sense when you consider that stuffing your face with a McGriddle or a seven-egg omelet might do more harm than skipping the meal completely. But what researchers found was that it wasn’t breakfast that was the problem; it was that not eating breakfast results in hunger, and hunger might cause a person to make bad decisions when deciding what to eat next. What to do, then? Eating at regular intervals throughout the day helps limit cravings so that you aren’t over-consuming at lunch or dinner, or getting so hungry you opt for an extra-large pizza instead of a normal portion of something healthier. Diseases such as diabetes, Alzheimer’s and even arthritis may actually be contagious, if this Daily Mail report is to be believed. You might soon be able to get an adaptable smart tattoo containing your health status right there on your arm — or, if you’re still in college, really small on your ankle. More proof that eating a little bit of dark chocolate every day is good for your heart. Good news for lazy husbands and wives: Housework can make you sick. Your reusable shopping bags pose a risk for giving you food poisoning. In today’s “no, duh” news, just because you’re vegan doesn’t mean you’re healthy. So stop making me feel bad about eating a burger, mmkay?